Prepaid payment methods are perfect for players who aren’t comfortable with entering their personal card details into an online casino, or for those who wish to opt for a more anonymous payment method. The best prepaid method accepted by secure online casinos is paysafecard – owned by the Skrill Group – which is a 16-digit e-voucher used to make purchases. The prepaid method was established in 2000 in Austria by the Skrill Group – owners of the popular Skrill web wallet – in order to help users feel more comfortable shopping and making purchases online. While it was originally a physical card, similar to a credit or debit card, it transformed into an e-voucher in 2004 so users could simply purchase the amount they wished to use online or at retail outlets and use the 16-digit pin to complete a purchase, or in our case make a deposit. What’s more, is in 2009 the payment method began to offer MasterCard cards so users could opt in for a physical card and use it wherever MasterCard is accepted simply by loading their funds from their prepaid e-voucher onto the card. It is now available in over 40 countries, and there is even an application for smartphone and tablet users. Additionally, they recently took over the other popular prepaid method, Ukash, in 2015. Ukash was founded in 2005 and was offered at many of the best online casinos. However, in 2015 the Skrill Group acquired Ukash and moved the payment method under the one prepaid option with the Paysafecard brand. Ukash also offered a MasterCard and users can still use it wherever MasterCard is accepted it if they opted in for one when the service was active. The prepaid method is an e-voucher and offers a 16 digit code which users have to enter when making a transaction. For Aussie users, you can purchase vouchers in increments of $AUD10, $AUD20, $AUD50 or $AUD100. You can purchase up to 10 in one transaction from retail outlets (locate these by entering your postcode on their website stockists locator) or online. Players then head to one of our recommended online casinos which accepts the payment method by clicking the links. Here you can head to the banking page, click the Paysafecard logo, enter the 16-digit code and confirm the transaction. Your funds will appear in your online casino account immediately so you can get playing your favourite online casino games. Players aren’t charged any fees for this method, though if you still have funds on your Paysafecard e-voucher after a year you will be charged a fee. 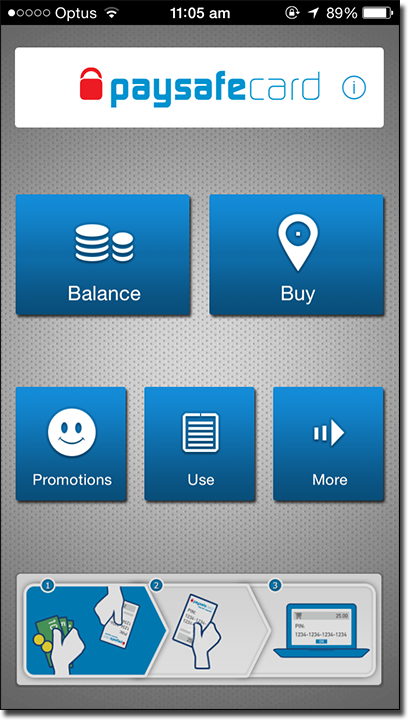 Mobile users can download the Paysafecard application to their smartphone or tablet, including Android and Apple branded devices. This will allow you to locate a stockist and check your balance – simply enter the e-voucher 16-digit code to find out how much you have. You can also check your transaction history and purchase more vouchers if needed. If you used Ukash and already have a MasterCard there’s no need to opt in for this service, but for players who are new to the payment method you can opt to be sent a physical MasterCard. 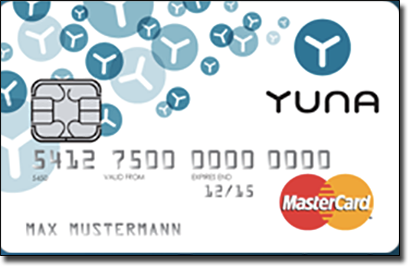 This is known as a YUNA card and can be used at participating MasterCard online casinos where Paysafecard isn’t accepted. If you have a Ukash MasterCard you can also use this at participating online casinos, such as the many we recommend. Additionally, you can load any remaining balance from your Paysafacard onto your YUNA card to withdraw from MasterCard accepted ATMs if you want the cash. Prepaid methods are incredibly secure since you are putting a limited amount of funds on a voucher and it isn’t connected to your personal bank account or your identity at all. This means when you make a deposit online you are incredibly secure since you aren’t entering any sensitive details to be stolen. However, if you play at our recommended online casinos this is unlikely to happen anyway due to the high levels of data encryption technology employed. Additionally, if your financial institution doesn’t allow gambling transactions, Paysafecard is a great option and you can simply buy an e-voucher via their website to use at any of the following secure online casinos. If you are looking into purchasing a paysafecard to use at an online casino, or have already purchased one, we recommend the following casinos due to their extensive catalogues of high quality games by top leading software developers, as well as accepting paysafecard. Click on our links to be taken directly to the online casino where you can sign up and make your first deposit using paysafecard and opt in for the generous welcome bonuses.